Merry is approx. 5 mos. 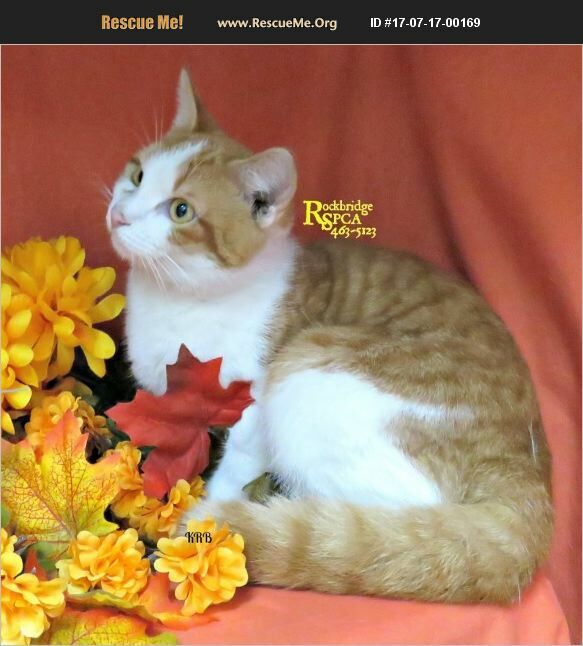 visit our fb page: rockbridge spca cats and rockbridge spca photo by: Karen Beard NOTE: we do NOT hold kittens and take applications on kittens when they reach the 2- lb. weight NOTE: All animals adopted from the Rockbridge Spca are taken directly to a local veterinarian for spay/neuter before going to their new home, this includes puppies and kittens 9 weeks and up and weighing 2 lbs. The owner is responsible for paying the veterinarian the ENTIRE spay/neuter fee which does vary by veterinarian and is NOT included in the adoption fee. There are 3 local veterinarians that perform pediatric (baby animals) spays and neuters, new owner must pick from one of these. Please be advised if you live out of the area you will have to make at least 2 trips for an adoption.